Diwali celebration at workplace fosters stronger bonds among the workforce and provides you the opportunity to share some crazy moments with your team. Employees from all the departments actively participate in the games and competitions arranged in Office Diwali Party. VenueMonk brings to you some amazing Office Diwali Party Games and Competitions ideas. 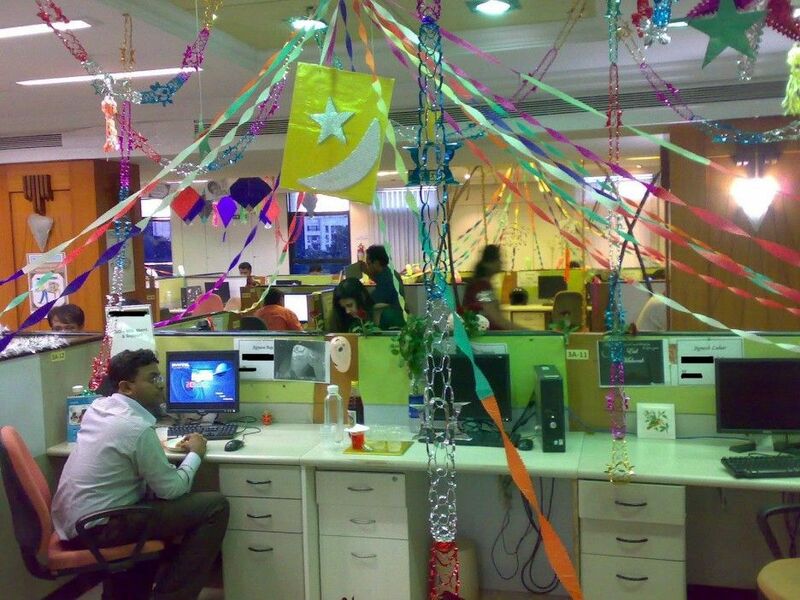 Ask the employees to decorate their workspace according to the theme of Diwali. This activity will spark the festive spirit and set the mood of Diwali in the office. It will also enhance team bonding and innovation, as different teams would brainstorm together and decorate their workplace in the best possible manner. For few employees, workstation matters a lot. Give them a chance to sit on their favorite workstation by deciding winners from certain activities. Organize few games or competitions in which a person can either win or lose his favorite seat. 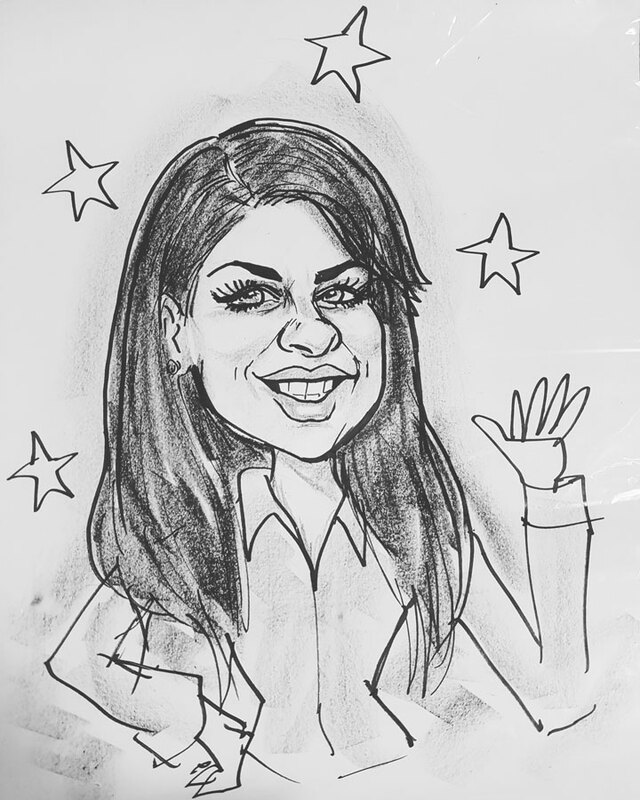 Caricature competition is a crazy activity that promises a lot of fun and laughter. Let the employees draw a caricature of their co-workers, asking them to highlight person’s prominent features like hawk nose, mustache, hairstyle, etc. This activity would not only develop artistic skills among the employees but also promote friendship. Organize a craft market, in which the employees can showcase their artistic talent by making their own handcrafted items. Put few items like glitters, cardboards, scissors, dry leaves, matchsticks, etc, using which they would have to create unique handicrafts related to Diwali. You can even ask them to put a price on the items and sell them in the craft market. People love playing cards at Diwali. You may arrange for various card games such as black jack, rummy, bridge, judgment, poker, etc. The festival of Diwali is incomplete without Rangoli and so is the Office Diwali Party. Arrange a Rangoli making competition. Provide the teams with flowers, colours, and diyas and let them design beautiful rangolis. Choose the best Rangoli among all and give a prize to the winners. If you have some outdoor space at your venue, then you can organize games like tug of war, potato race and treasure hunt to add more zeal and liveliness to the party. Games and competitions are the best way to engage the crowd and make the Office Diwali Party a fun-filled event. VenueMonk can help you with many more Office Diwali Party Games Ideas and plan a joyful event for you.